Joy Rondeau pushes herself along a Nordic ski trail at Snow Mountain Ranch Friday morning. Rondeau is pushing hard to prepare for the upcoming Paralympic games in South Korea. Over the last year Joy Rondeau has been on a metaphorical roller coaster but despite the ups and downs the young woman, who recently qualified for the Paralympics, continues to push herself to her physical limits all while placing her faith, hopes and fears in God, which Rondeau calls her greatest source of strength. 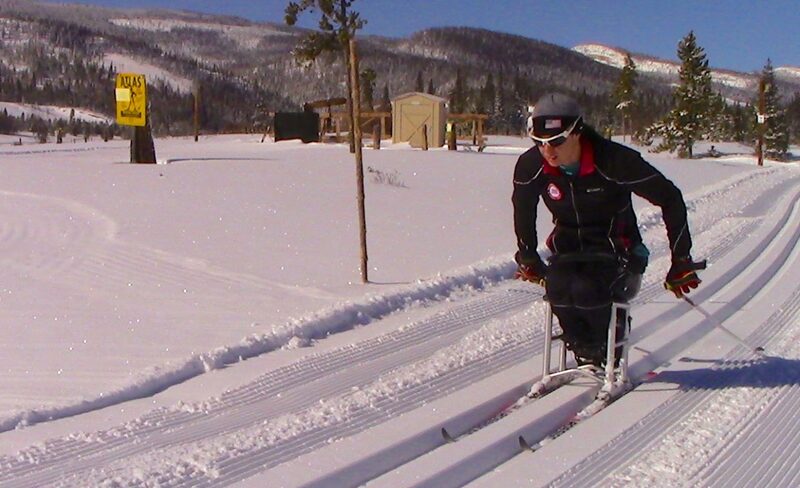 Rondeau, a Grand County resident and adaptive Nordic skier, has spent the past year pushing herself in training in hopes of qualifying for the Paralympic games in South Korea this year. The vicissitudes of life, including a nagging nerve injury on her arm, meant Rondeau often struggled in competitions and her slot on the US Paralympic team was in doubt until a recent competition in Bozeman Mont. where her place was secured. Last spring Rondeau pinched her ulnar nerve, leading her to lose some of the functionality of her arm. While she continued to train and compete despite her injury the nagging sense of concern it created, and the pain it brought, made Rondeau second guess herself, if only briefly. Faith is a recurring theme one encounters when talking with the young first time Paralympic competitor. Rondeau says her Christian faith keeps her grounded and gives her strength to work through the challenges of life and training. While in Pyeongchang Rondeau will compete in three and possibly four different events: Nordic biathlon sprint sit, women’s mid-distance adaptive Nordic, women’s sprint sit, and possibly the Nordic Relay. The Nordic Relay race, which includes a one-pole skier, a sit skier and a visually impaired skier, is held the final day of the Paralympic games and the relay race competitors are determined by performances during the games and who is healthy. 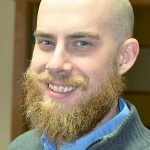 Rondeau will leave for South Korea on March 3. She and the rest of the US Paralympic team will be processed on March 5 before heading up to Pyongchang later that same day. Rondeau will then have a few days to train and prepare for her upcoming events. The opening ceremonies will be held on March 9 and Rondeau’s first race, the biathlon sit sprint, is set for March 10. She will compete in the women’s sprint sit on March 14 and the mid-distance adaptive Nordic race on March 17. If Rondeau is selected for the US Nordic relay team she will compete in that race on March 18, just before the closing ceremonies for the games. She expects to fly back home on March 19. As Rondeau prepares to leave the county she was thankful for the assistance of her two primary local coaches, Mark Birdseye and Shawn “Shooter” Scholl. Rondeau also thanked all the local Nordic centers for their assistance with her training regimen as well as her friends, family, coworkers and employer who have helped make it possible for her to dedicate so much of her time in pursuit of a Paralympic berth.